Two-year-olds are exploring their independence, making their own decisions, and asking lots of questions. Every impression a child receives by seeing, touching, smelling, and hearing affects the development of their brain. Here at CWLC, we take every opportunity we can to build strong bodies and brains in all of our children. 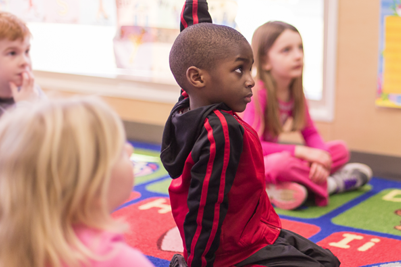 Our teachers provide a rich learning preschool environment that encourages them to do just that. Research has indicated that learning improves when children are engaged in enjoyable and meaningful activities. What and how children learn during the first three years of life are the building blocks for successful lifelong learning. At this age we build on what the children already know and add in the core subjects. We provide daily activities to promote learning in literacy, mathematics, science, social studies, the arts and technology. 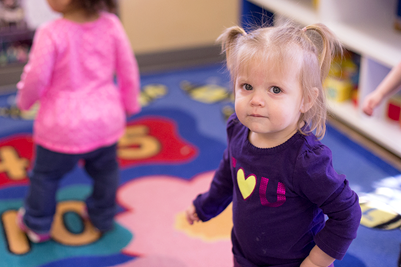 Many of our locations offer both NC Pre-K and Private Pre-K. Transitioning to Kindergarten is fun and exciting! Here at Children’s World Learning Center we do all we can to prepare children for their next big move! 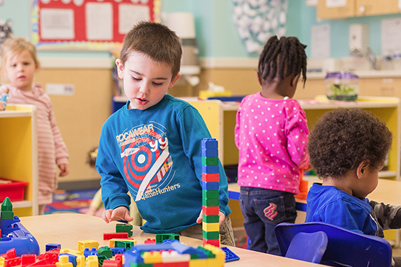 Preschoolers are learning and doing more than ever before and our experienced teachers provide nurturing environments so that all children will be ready to enter Kindergarten.